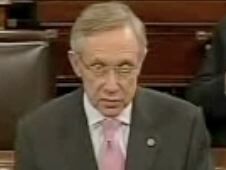 HARRY REID (D-NV): "Their greed led to 11 horrific and unnecessary deaths. It has harmed an enormous tourism industry, threatened business at countless fisheries and disrupted life for many along the Gulf Coast. As the pollution grows worse, those consequences will only compound."